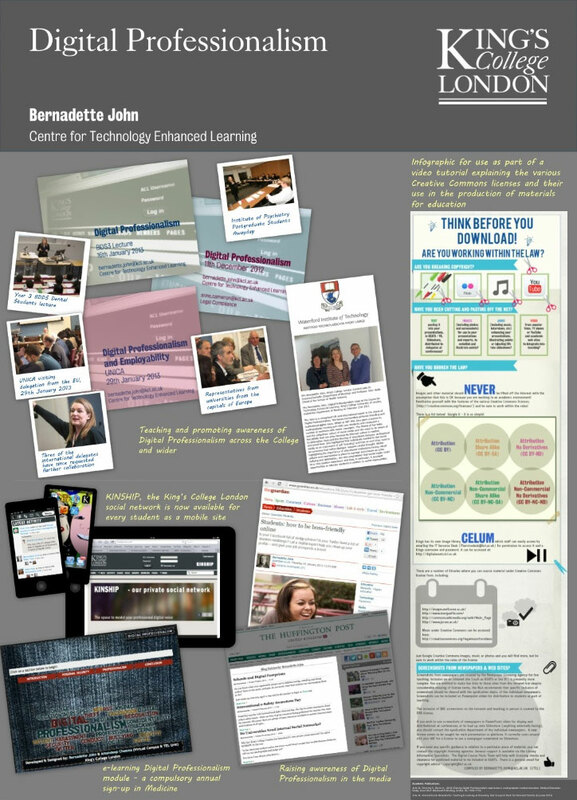 Yesterday at an internal conference at LonDEC, in Waterloo, I presented a poster on my work around our internal social network, KINSHIP, and my work in Digital Professionalism. There were presentations from Peter Chatterton and Peter Bullen. It is a very exciting time in education. This was my poster. Ian Calder is such a talented man, I knew what I wanted to showcase, but to put it bluntly, design is not my thing! 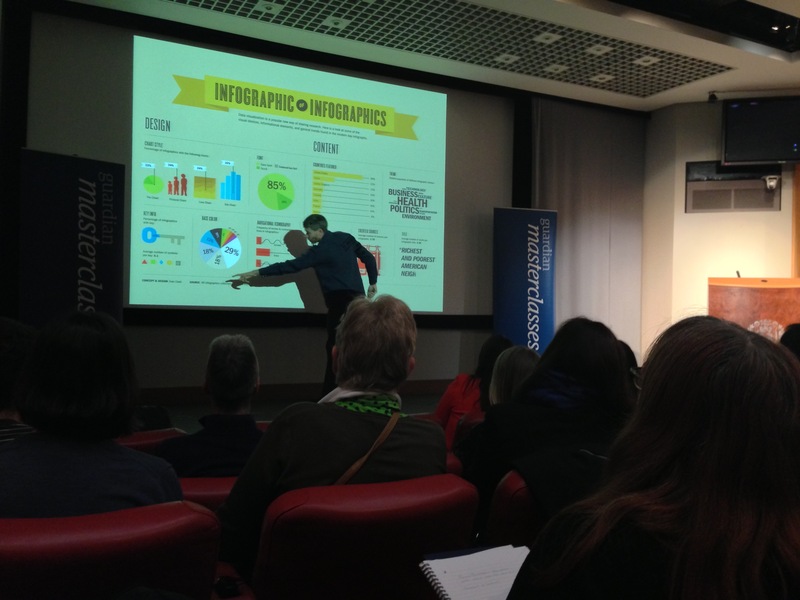 Today, at a Guardian Masterclass on Visualising Data at the Royal Society of Medicine in Wimpole Street, I realised it was Mothering Sunday… YIKES! I hadn’t realised when I booked it… My family were not happy. 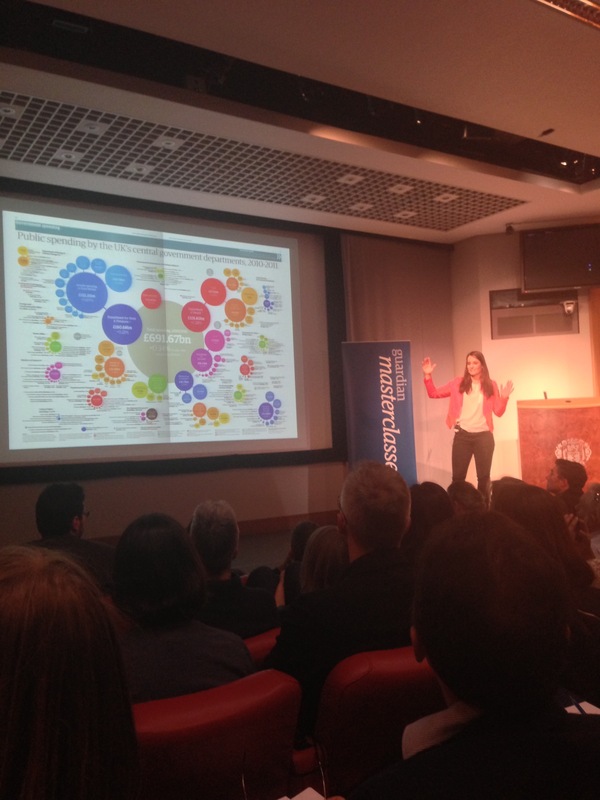 I was really excited to finally attend one of these Guardian Masterclasses, I have heard so much about them. All good. The day focused on the importance of good visual storytelling, signposting attendees to how data could be sourced and displayed according to audience needs. I am convinced that the ability to display data in a visually engaging way, either through animation or infographic, is a valuable asset to any research project. It is the ideal way to ensure maximum impact for research findings – far more likely to be picked up and quoted in the press if they are published in a dynamic, engaging and accessible way. I am also someone who regularly lectures to groups of over 400, so I am always looking for new strategies to keep an audience engaged. 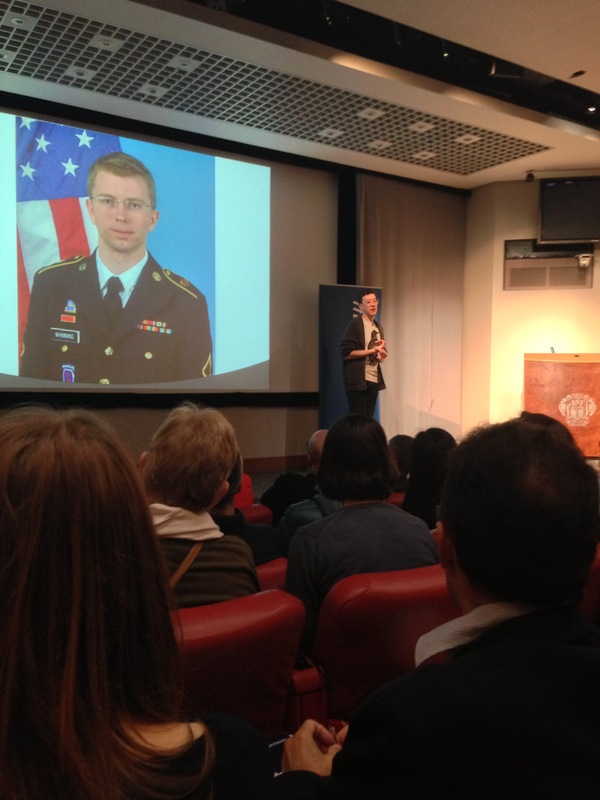 There were some great speakers, including Tobias Sturt, Adam Frost, James Ball, Jonathan Richards and Mariana Santos. They showcased some great work. I must admit however, that I am left rather disappointed. This was a showcase event, really. I don’t feel I am any further forward than I was before I attended. I don’t have a creative team of dedicated professionals to assist me with visual resources to aid my work, so I am left struggling to find the right tools to display data myself. I’ve come across quite a range of tools for the creation of infographics, ranging from those which focus specifically on infographics to some that are full-scale desktop publishing programs. I have been playing with the free version of Piktochart for a couple of weeks, on and off, to create an infographic – it is relatively simple and straight forward to get started, but the small range of free themes is so very basic, with a greatly restricted choice of colours and images. It is necessary to pay for a license (an educational license is available for $39 per year) to access a wider range of more flexible themes. As someone with finite resources, I would prefer to inspect the range of themes, to ensure they suit my needs, before I commit myself and pay the fee. If you are like me – someone who is likely to want to generate less than handful of infographics per year – $39 could be a complete waste of money. I have been advised by a friend that Visual.ly have an onerous set of terms and conditions and I can’t see any price plan for education, so it could be an expensive option at $999 per year. There are apparently some desktop page layout programs available that could be useful. I hear that for the Mac, iStudio is available with a free 30 day trial and an educational license – again, themes are available. Much pricier is OmniGraffle which is a Mac/iPad equivalent of Visio, so it does not have the full capabilities of a desktop publishing program but may help in creating A4 and larger sized posters etc; it is apparently quite technical in look and feel. An iPad version is US $50 but there might be an educational license available. Apparently it is possible to demo the program at your local Apple shop. The advantages to using OmniGraffle is that there is an active community of designers with available stencils for downloads. If you have access to a Linux based system, Inkscape is a freely available illustration/drawing program like Adobe Illustrator. Like Illustrator however there is a quite a steep learning curve involved. Apart from Piktochart, which I have been experimenting with myself, all of this advise has been provided to me by a good friend. Anything you could add to this conversation would be gratefully received. I am still lost and tinkering with Piktochart.